こんにちは Konnichiwa. Hello, my name is Koh Kia Leng ("Kia Leng" is my first name and "Koh" is my last name. In Asia, people put their last name/surname in front as opposed to people in the west). I am the owner of this website and I live in the beautiful island country of Singapore. I graduated with an engineering degree and worked as a software engineer in a semiconductor machine manufacturing firm for more than 10 years. Currently I work from home with a firm doing customer service support. How I Started My Japanese Learning Adventure? 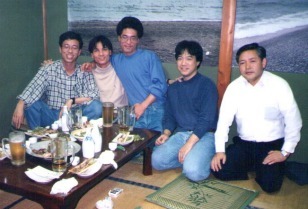 During my work life as an engineer, I had the opportunity to visit Japan several times for business trips. Those were my first encounters with the Japanese language and culture. And I immediately fell in love with the language. At that time, I knew nothing about the Japanese language and communicated with my Japanese business partners through an interpreter, a Japanese lady who had previously lived in England. When she saw my interest in the language, the interpreter taught me some simple Japanese words and phrases. I took notes during my "first" unofficial Japanese lesson and still keep them today. I was thinking how great it would be if I could converse directly with the Japanese business partners (and other locals) without the need for translation. However, this remained a mere thought at the time, and I never really dreamt that I would one day speak Japanese. Somehow, I felt that I should have continued Japanese language lessons upon returning to Singapore. Unfortunately, I didn't pursue those lessons due to work and other commitments. But I knew that someday I would pick up the language again. It wasn't until one day in December 2005 when I was grumbling about my work to my wife, and she suggested that I start learning Japanese since I had been mentioning my intentions to her. Her suggestion fired up my desire to start learning the language, which I think was one of the best decisions that I have made. 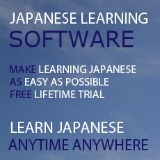 I started my Japanese lessons part time from January 2006 in a local Japanese language school. I was lucky to meet my first Japanese teacher or 'sensei' who is very knowledgeable and experienced in teaching. That was a very important step, because under my teacher's supervision, I was able to build a solid foundation in the language, which helped me a lot when I continue my intermediate and advanced lessons. My sensei returned to Japan in December 2008 but I still keep in touch with her via emails and Facebook. To study a new language continuously for 5 years is not easy at all. I saw many of my classmates give up half way due to all sorts of reasons. I think what pulled me through the years was without a doubt, my passion for the Japanese language and the willingness to put in hours and hours of study. I truly believe that if you are passionate about something, you won't feel forced into doing it. You "Just Do It" (borrowing the Nike's slogan) willingly. Perhaps I was just lucky. I received a few "Top Student" awards from my school, over the years. 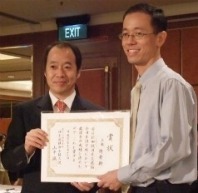 Besides some prizes, I also received the certificates of merits issued by the Japan Embassy of Singapore. I was rewarded for my hard work, indeed. Despite having completed formal lessons until "Further Advanced" level at my school and having already obtained JLPT1 (2009) with top marks, I made the decision to continue my pursuit of the language in other ways. I continue to converse with my Japanese teachers and friends, exchange emails with my pen pals in Japan, read Japanese books, listen to Japanese songs, watch Japanese dramas, animes and news programs. And my latest venture, has been creating this website Learn Japanese Adventure. Because it truly is an adventure. When I began my lessons in the first year, I heard many people talking about JLPT. What's that? I soon found out that JLPT stands for Japanese Language Proficiency Test, a test that is held annually around the world for foreigners. JLPT is jointly organized by the Japan Foundation and Japan Educational Exchanges and Services started in 1984 as a test to measure and certify the Japanese-language proficiency of those whose native language is not Japanese. 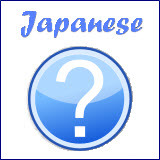 It used to consist of four levels, whereby one begins at JLPT4 and progresses in order to achieve JLPT1. In 2010, JLPT was restructured to have five levels instead and renamed N1, N2, N3, N4 and N5. It is being held twice a year now (since 2009) but this is only for certain countries. At first I had no intention of taking the test as my interest was geared purely towards mastering the language itself. But later, I changed my mind as I felt that JLPT might be a useful tool in order to ascertain one's competency in the language. Why not? I have since taken and passed each JPLT level steadily from 2006 (JLPT4) to 2009 (JLPT1). I have put in extra efforts when preparing for the JLPTs, especially on increasing new vocabulary and studying every single grammar for the respective level. My reading speed and comprehension of Japanese articles had also greatly improved, which helped me a lot during the tests for Level 1 and Level 2. Then again, obtaining JLPT1 by no means ensures that one is perfect in terms of Japanese proficiency. In fact, I personally feel that my learning journey has only just begun! I have learned to appreciate the beauty of the language, and have decided that it's going to be a life-long learning adventure. I have learned the language and I am still learning. Why not I share this knowledge with others? And why not share it with many people who have just started the learning journey? There is surely someone in the world who is able to benefit from it if I share it on the Internet. I have gone through the process of learning this beautiful language, and you bet I know the difficulties and frustrations encountered along the way. I aim to help people who are interested in learning Japanese, and hopefully answer the questions they may have. Although I cannot guarantee you a perfect answer to your query, I hope to help within my capabilities. I hope that Learn Japanese Adventure can help people in many ways while learning Japanese and wish all of you an enjoyable and adventurous learning journey. Do visit again to see the latest updates. If you have any suggestions, feedback or comments, please don't hesitate to contact me. 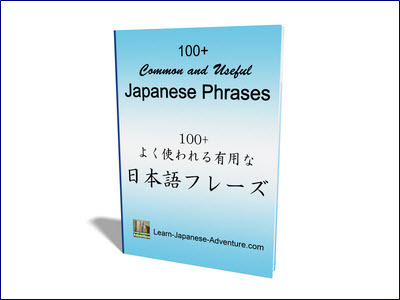 You can also subscribe to my Learn Japanese Adventure Newsletter and download a free eBook. Find out more information here!